Read more about Executive coach in the medical industry, Myers-Briggs certified. Here for your convenience are both the Winter & Summer Disc Golf Course Maps for Pioneer Park in Billings MT. I could not find the winter map via a simple Google search and the tee pads are not marked well if at all. So here is a link to bring you more pleasure on the course. Using Ubercart we realized order address and billing information is stored on a per order basis. This is why you need the Ubercart Addresses module, it allows users to manage a set of addresses that can be referenced when placing an order. Drupal 8 is on the street. After installing the standard D8 install profile, without any hangups, two things stood out immediately in the configuration. First ability to import and export configurations files, this is sweet. And secondly a base adaptive theme that looks nice from the start. 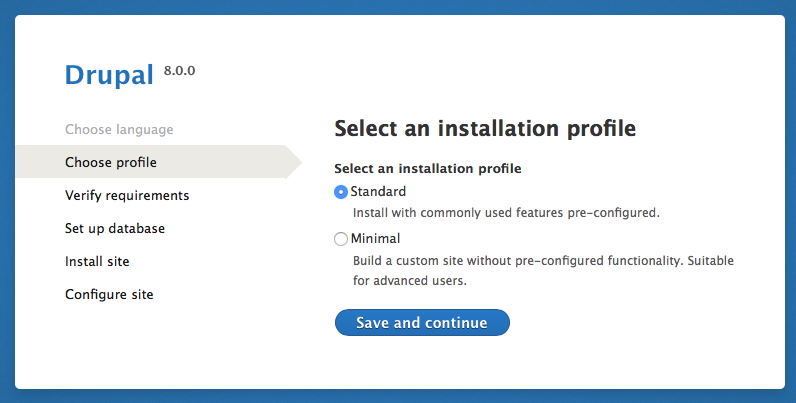 Using the Drupal Session Limit module is easy and why not?